I am showing several of my drawings in a group show at Gallery Korea of the Korean Cultural Service NY (which is part of Korean Consul in NY) with some great artists and friends. The opening is Wednesday, September 11, 6-8pm. It would be great to see you there. The Korean Cultural Service of NY is proud to present the first exhibition of Fall/Winter 2013. 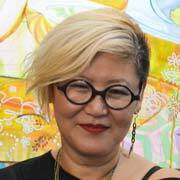 A group of Korean, Korean-American and American artists come together to present their recent works expressing what is most crucial to them today. The story begins with an interpretation from Confucius’ words regarding moderation, the Mean and relevant timing. A fusion of work by contemporary artists chosen for their diverse and overlapping personal histories, vision and approaches to art making come together to create a great amount of synergy. Originating in distant geographical locations and cultures, their work intersects: West and East; New York and Seoul; Gwangju, Damyang and Kingston. By exploring what is most crucial to each artists practice and viewing this work both as individual statements and as part of a larger collective language, new forms emerge. These are defined simultaneously by distinct contrasts and shared concerns. All participants, to varying degrees, are crossing through boundaries. Art fills the space with the high contrast of natural and synthetic materials, vibrant hues and muted tones. Traditional and experimental mediums collide and come together. Korean painting maintains its rich traditional use of materials while moving into a shared contemporary vision and context. Two Korean photographers and a sculptor form upstate New York embrace the nature surrounding them. Farming installation, social sculpture changing in time, paintings with food and parachuting young girls are only the beginning of what you will see. The participating artists in “Pollination: Overlappings in Time and in Place” are: Jae Yong Chun, Kira Nam Greene, Roman M. Hrab, Kyung Jeon, Sun Doo Kim, Young Tae Kim, Hein Koh, Gyu Chae La, Jongil Ma, Lee Puckett, George Raggett, Juju U, and Elizabeth Winton. 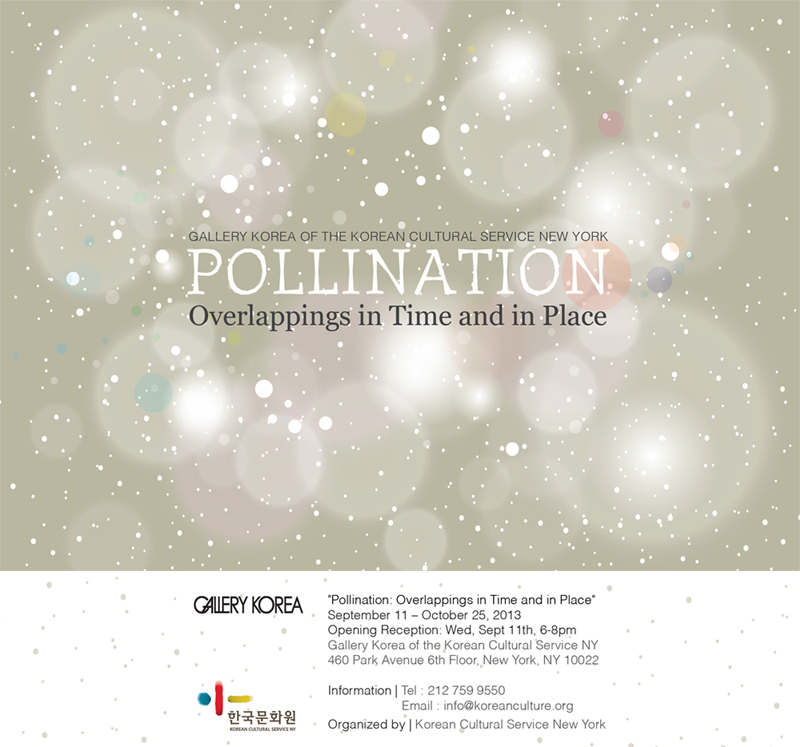 This entry was posted in Exhibition News and tagged Gallery Korea, Pollination. Bookmark the permalink.